If you have been planning an upcoming trip to Disneyland or Walt Disney World, you are probably keeping a pulse on the latest news. And here’s a big one to keep in mind. 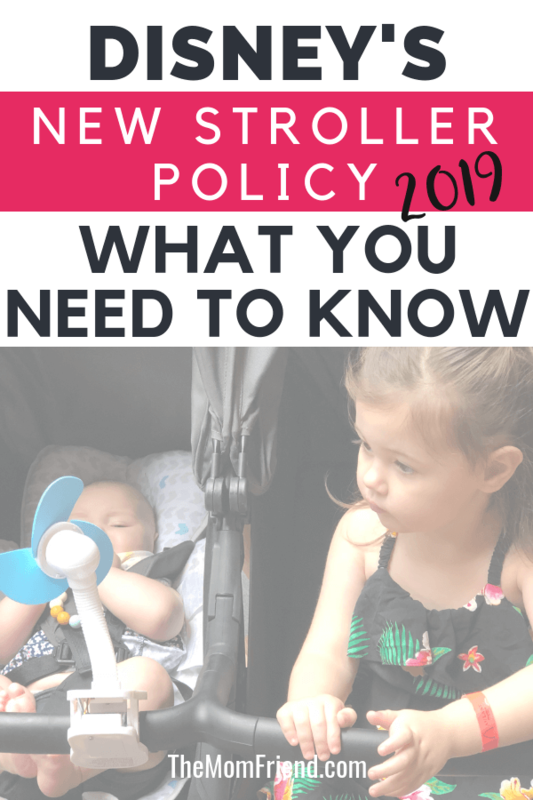 Starting May 1st Disney has a new stroller policy—so today I’m talking a little about it and sharing the double strollers for Disney that meet those policy restrictions—and those that did not make the cut! If you are planning a trip to Disney with a baby or toddler (or both!) then you are going to want to make sure your stroller is in the clear! This post may contain commissioned affiliate links. For more information, see my disclosures page. 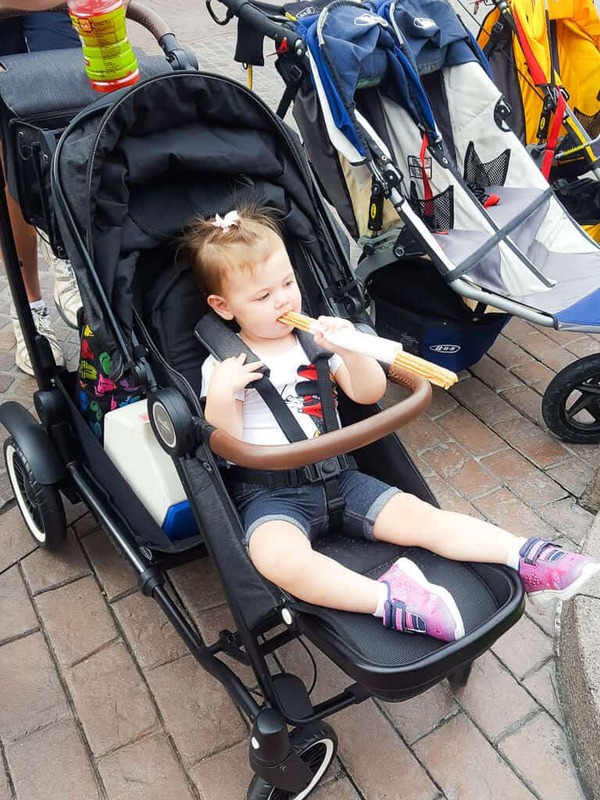 What is Disney’s stroller policy? 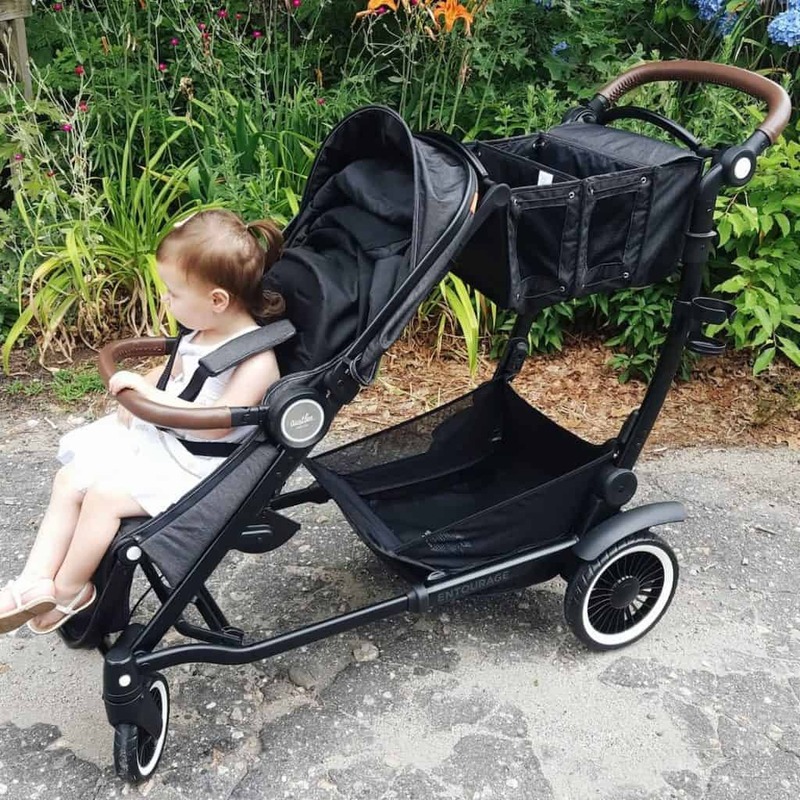 According to the latest announcement, starting May 1, 2019, strollers that are bigger than 31″ (79cm) in width and 52″ (132cm) in length will be prohibited. Until that point, strollers greater than 36″ x 52″ are not allowed. This is a reduction of 5 inches and may rule out some double strollers that are on the larger side. Currently, wagons are prohibited but stroller wagons like Keenz and Veer are super popular for lugging both kids and stuff around—it seems those will be more strictly enforced as well (though there is lots of discussion around those in forums right now). It is also worth noting that any trailer-like object being pushed or pulled by a stroller is not allowed. Thinking about bringing your glider board? Probably not a good idea anymore. Why the new stroller policy? As parks continue to attract massive crowds and new attractions will draw even more, Disney is trying to ease congestion and make it easier for people to walk around (which is a challenge with most strollers, much less giant ones). Disneyland Resort will apparently begin to offer a new tandem double stroller for rent, which appears to be the Joovy Caboose Too according to this article. It also notes that if you were planning to rent at Walt Disney World or from a rental company, you are probably fine as they already meet specifications. For many families traveling to Disney however, the journey includes a flight and having a stroller in the airport is extremely helpful. The good news is most side by side double strollers from recent years do fall into width requirements. So if you are looking at bringing your own stroller, here are Double Strollers that are allowed under the new policy and those that will not be (though be sure to double check your stroller’s specs to be sure). I did note a few strollers where the online specs are exactly at 31″ for some current/recent models, I recommend you double check that your model year doesn’t exceed that. Side note: I focused on larger double strollers since most lightweight umbrella double strollers are well within range. Tandem double strollers are often designed to be more compact than side by side making them easy to maneuver through tight aisles or doorways. Convertible strollers can be adapted from a single to a double or even a triple with some configuration to the seats—and in some cases—extending the frame. I’m still searching for more of each category that will not work, but so far other tandems seem ok. However, some models or ones with multiple configurations for maximum space for two children may approach or even exceed new policy limits. Example: Is the City Select as a double stroller or the Austlen Entourage too long for the new Disney Stroller policy? The City Select Double, for example, is 53” long with two forward facing seats according to manufacturer specifications. Depending on how you configure it, you will want to make sure you are within the guidelines if stopped at the screening tents. The Austen Entourage, which we absolutely loved using at Disney for its’ sheer amount of storage space and comfort features, can be used in the intermediate position 44” +handlebar (5.5”-7”) but fully expanded it would be too long (50.5” + handlebar). How does it work with two seats? You can use the second seat on the Entourage in either intermediate or expanded. If in intermediate mode, you will only be able to recline the second seat. If you want to recline both, it will need to be expanded. Now, of course, you could try your luck and enter the park in the intermediate setting and then expand once needed for naps, but there is always a possibility that a cast member could deem your Stroller too large at that point and you would have to switch to intermediate. Big What if but just something to consider if staying at the parks late at night and wanting both to recline. So my take on the new stroller policy? It is not going to actually affect as many people as it seems, WITH THE EXCEPTION of families who use stroller wagons. There are already lots of back and forth with people pointing others towards letters on company websites stating the stroller wagons are ok (Keenz in particular) however keep in mind that those letters are from prior to the new announcement made today. Which do you think are the top double strollers for Walt Disney World or Disneyland? Does this new policy affect you? Let me know below! And be sure to follow on Twitter, Facebook and Instagram for more Disney tips and news! SO GLAD to see the eradication of stroller wagons. They are far too large! they are no larger than some strollers! !